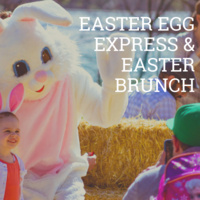 Celebrate Easter with your family on the Sacramento RiverTrain. Hop onboard this 2.5 hour experience were you will be served a continental brunch of muffins, pastries, fresh fruit, coffee and orange juice. Adults can add on bottomless mimosas*. Half way into the ride we will stop at our park along the river where kids can participate in an Easter egg hunt and other kid-friendly activities. This family-friendly ride is suitable for all ages so bring the whole family and spend the day relaxing on the rails! Infant tickets include: 2.5-Hour train ride.